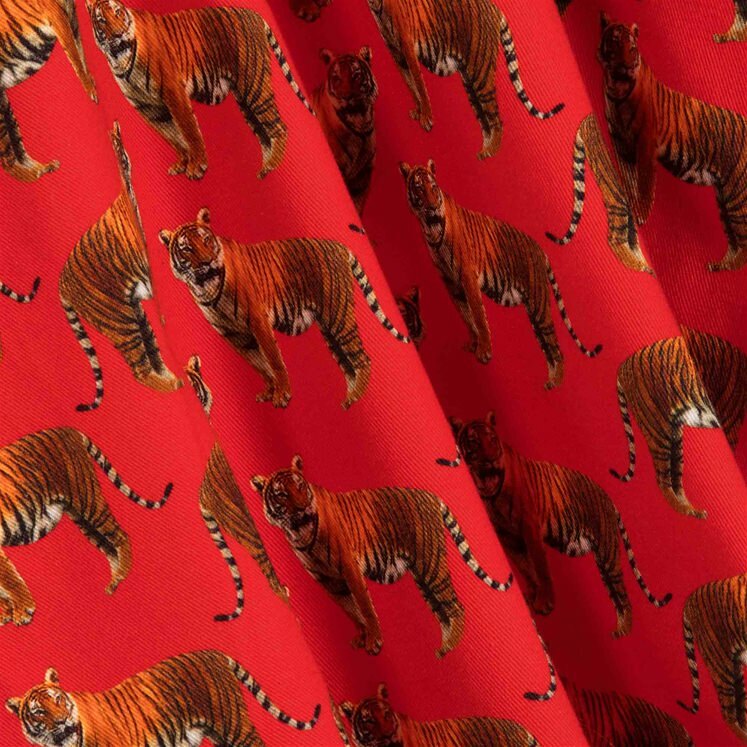 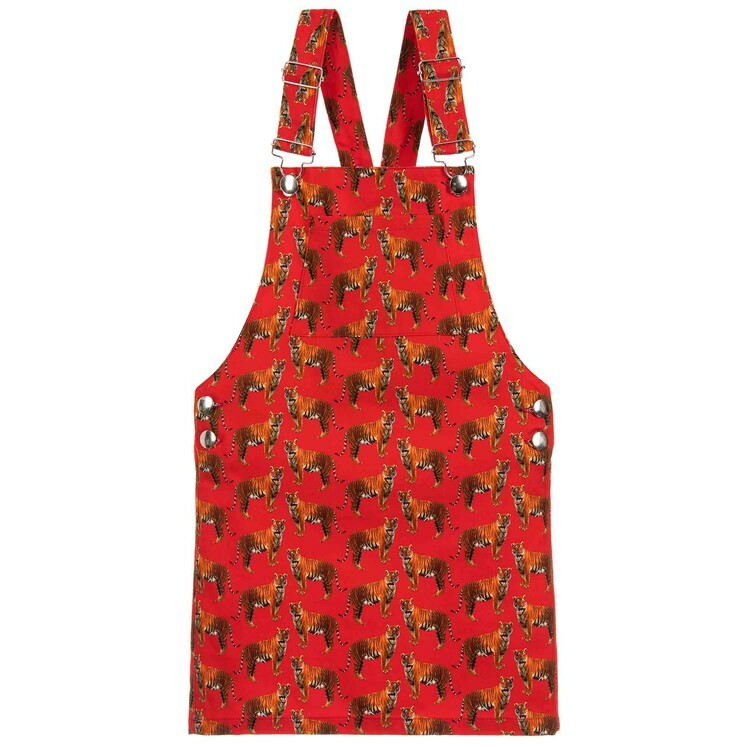 Step into the wild with this burnt orange cotton twill pinafore dress, covered in a repeated Tiger design. 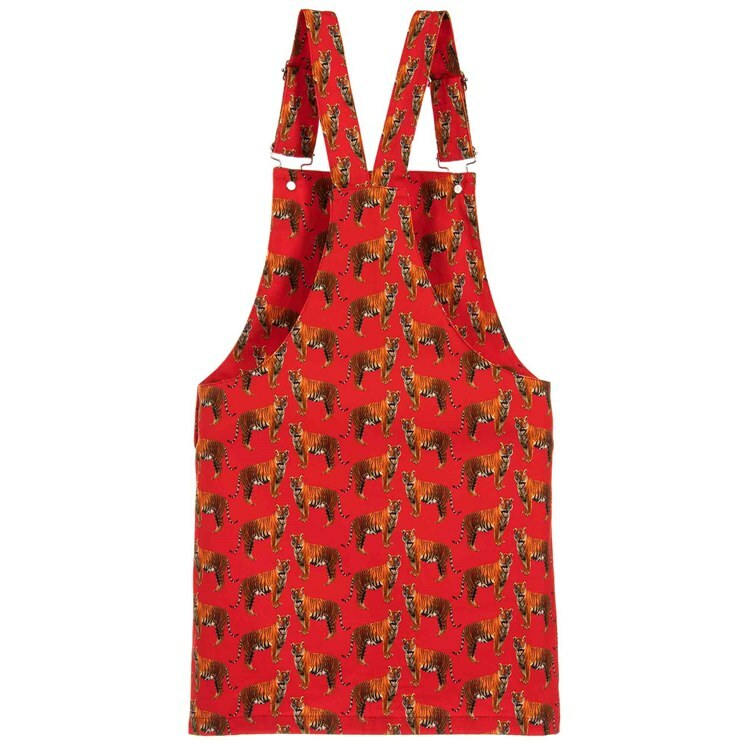 Pinafore dress has adjustable straps and patch pockets. 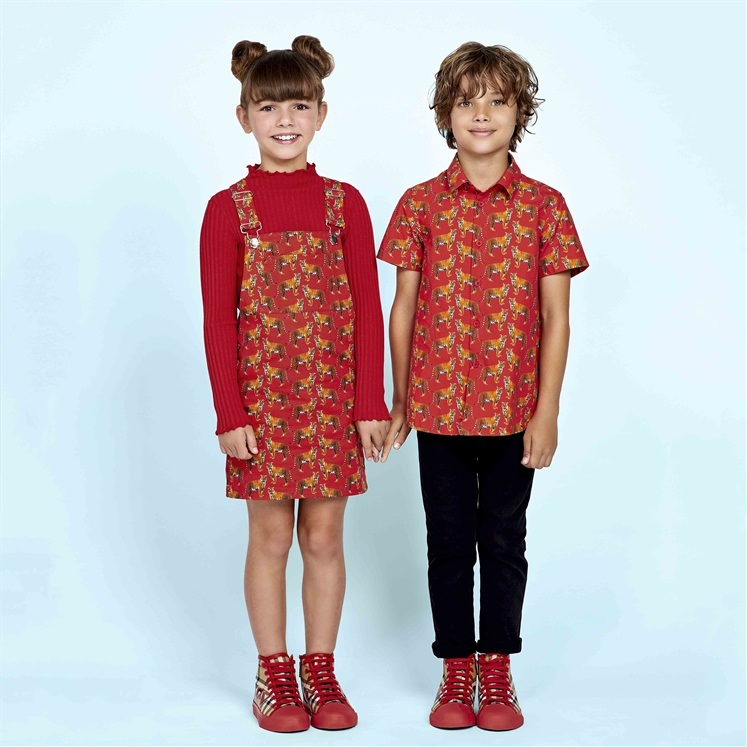 An exclusive collaboration from Gresham Blake and Childrensalon.